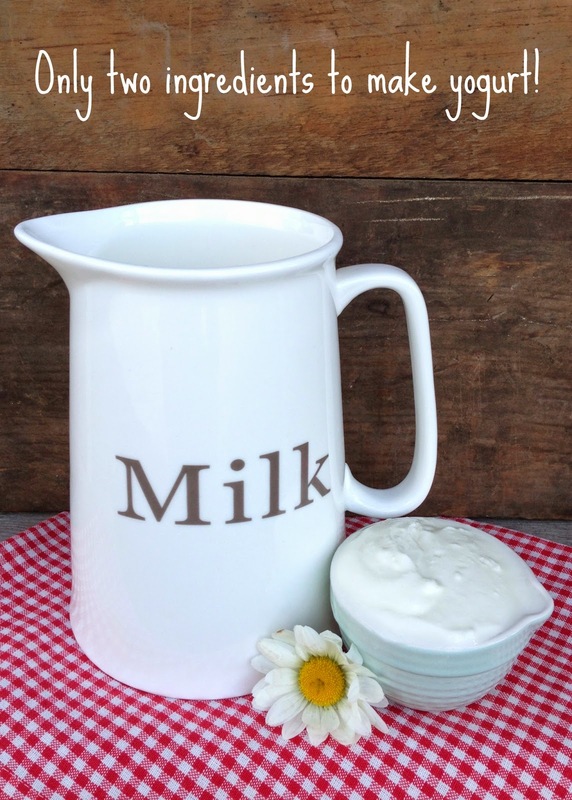 Easy homemade YOGURT: How to make delicious yogurt in your oven! Nothing beats homemade yogurt! When I was growing up on an Oregon farm in the 1970s, my mom was big on making the family's bread, serving home-canned produce from our garden, and of course, making homemade yogurt. You might think yogurt making is difficult. But homemade yogurt is easier than you think. And you don't even need any special machines to do it. 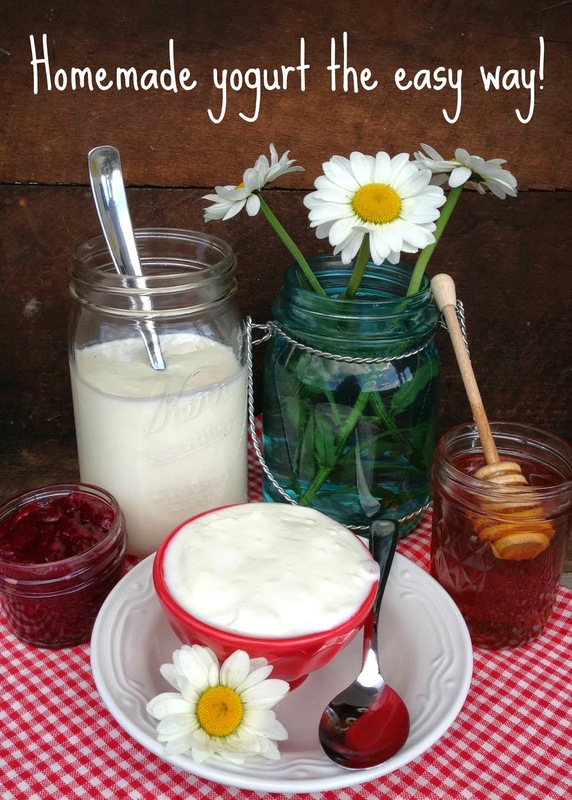 Do-it-yourself yogurt is just one more way you can become more self-sufficient. Yogurt is a fantastic staple to keep in your kitchen. You can use it in so many ways, from smoothies, to topping for your cereal, to eating it as a meal in itself all loaded with fruit and grains and nuts. Homemade yogurt is often more tasty than store-bought too, because you can control how tangy and sour it becomes. Overall, it pays to make homemade yogurt. For the price of a half-gallon of whole milk, you'll turn out a half-gallon of yogurt. (That's roughly half the cost of store-bought yogurt). 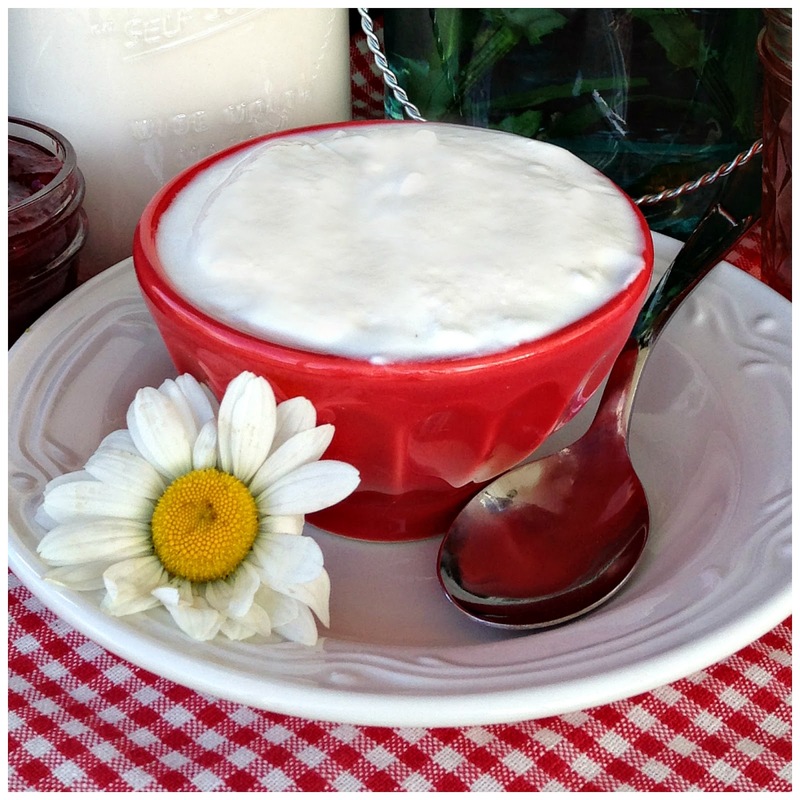 Not only is homemade yogurt cost effective, it also helps support good health. Yogurt is good for you. The bacteria in yogurt is beneficial. It's the good bacteria that keeps bad bacteria in check. This good bacteria is a probiotic that aids in digestion and helps support a healthy immune system. So are you ready to give homemade yogurt a try? Let's get started! (You probably have most of these things already in your kitchen, but I've included a couple affiliate links, to the items you might not have around). including the jars on their sides. is long enough for the pan you use, and a dial face is nice. How to make homemade yogurt. Lay everything in the pot. The jars can lay on their sides. Fit the lids, spoon and measuring cup around the jars. Fill the pot with enough water to cover everything. Clip the thermometer to the side of the pan so the probe is in the water. On the stove, bring the water to a boil. Once the water boils (212 F), time it for five minutes, letting everything cook. so it covers all your tools. When everything has boiled for five minutes, turn off the heat and carefully pour the water off (but use caution, and maybe a hot-mitt or two). Set everything on a clean dry dish towel to cool and dry. Set the pan back on the stove and pour in an entire 1/2 gallon of whole milk. Clip the thermometer to the side of the pan so the probe goes down into the milk, but doesn't touch the bottom of the pan (you want an accurate reading of the milk temperature, and not the bottom of the pan). Heat the milk over medium-high, stirring regularly until it reaches 180 F. This will take several minutes. Avoid heating the milk too quickly. Heating it slowly will promote a smooth texture to your yogurt. Heating it too quickly may result in grainy or lumpy yogurt. While stirring, avoid scraping the bottom of the pan. When the the milk reaches 180 F, turn off the heat and remove the pot from the burner. STEP 3: Let the milk cool. Now you must allow the milk to cool to 110 F. This is the temperature in which the bacteria that forms yogurt can thrive. It will spread like yeast in bread dough, reproducing and taking over until all the milk lactose has been consumed. To cool the milk, you can allow the pot to just sit at room temperature, our you can carefully place the pot of hot milk in a water bath (water and ice in the sink), which will work faster. However, I just let mine sit a while and do the dishes or something while I wait. If you choose to get busy doing something else, don't forget to check back now and then. When the milk reaches 110 F, it's time for the next step. STEP 4: Add a yogurt starter to the milk. To make a yogurt starter, use the sterilized measuring cup to dip out a 1/2 cup of the cooled milk. Pour it into one of the sterilized jars. 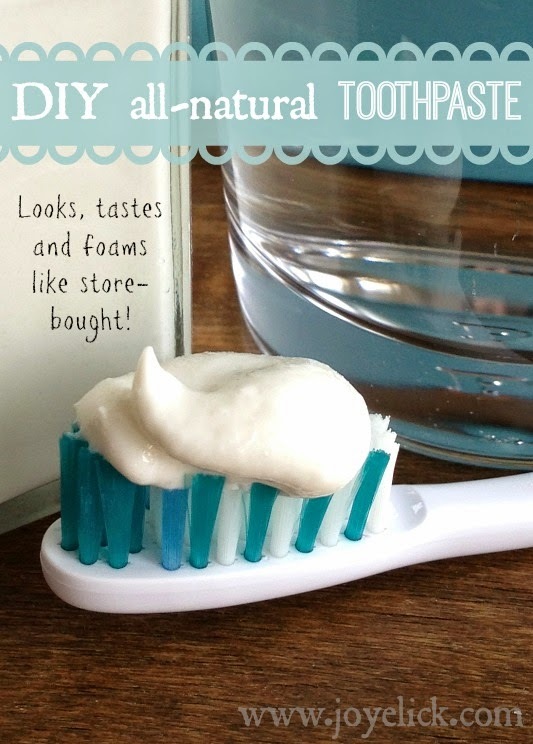 Measure 1/2 cup of plain store-bought yogurt (plain with no honey or anything added). Add the yogurt to the milk in the jar. Use the spoon to stir the yogurt and milk together. Now is the time to turn your oven on to preheat to the lowest temperature your oven will go (mine is 170 F). with 1/2 cup heated milk. Note: Instead of store-bought yogurt, you may also use freeze-dried yogurt starter, however, this is less cost effective. It's also possible to use previously made homemade yogurt as your starter, but this may not always work reliably, as the bacteria may not grow as well. I buy a quart of organic store-bought yogurt (on sale if possible) and it keeps for a few weeks in my fridge. I use the store-bought yogurt as my starter for several batches of homemade yogurt. Each homemade batch makes 2 quarts. I'm able to stretch that quart of store-bought yogurt into many, many quarts! Add the yogurt culture to the milk in the pot and stir well. 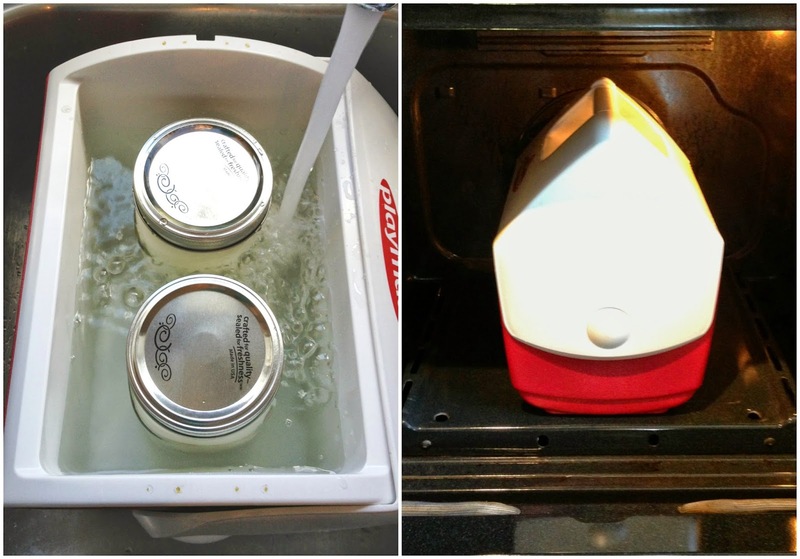 Pour the milk and yogurt mixture from the pot into the two quart-size mason jars, and screw on the lids. Place the jars inside a small 6-can cooler and fill to just below the rings with hot tap water (not so hot it burns, just hot like bath water). Close the cooler. Check your oven. It should be done preheating to it's lowest temperature. Turn it OFF. Carefully place the cooler on a hot-pad inside your oven (that is now turned OFF). Close the door. Let the yogurt sit quiet and undisturbed for 7 to 12 hours. at 100 F for 7 to 12 hours. STEP 6: Stop the yogurt process and store. After your yogurt has incubated for 7 to 12 hours, you'll know it's done when you tilt the jar and it pulls away from the sides. To stop the yogurt making process, give each jar a vigorous stir. This disrupts the bacteria growth. Then refrigerate. Yogurt needs a steady temperature of 100 F to grow, so cooling it will help stop it's growth. That's it! You're done, you self-sufficient you. Look at you! Now it's time to enjoy the fruit of your labor. Mmmm. Try it with honey and strawberries, or peaches, cinnamon and walnuts, or just about any combination of flavors that appeal to you. Have you ever made yogurt before? What are some of your tricks? After reading this tutorial, does it look like something you'd like to try? Talk to me. I'd love to hear from you in the comments below. How to GROW SPROUTS at home: A year-round food source that's easy to grow indoors. Homemade GRANOLA BARS: Create endless variety with just one recipe chart. How to make MOZZARELLA CHEESE. 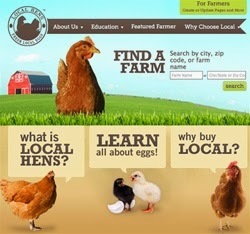 (It's easier than you might think)!